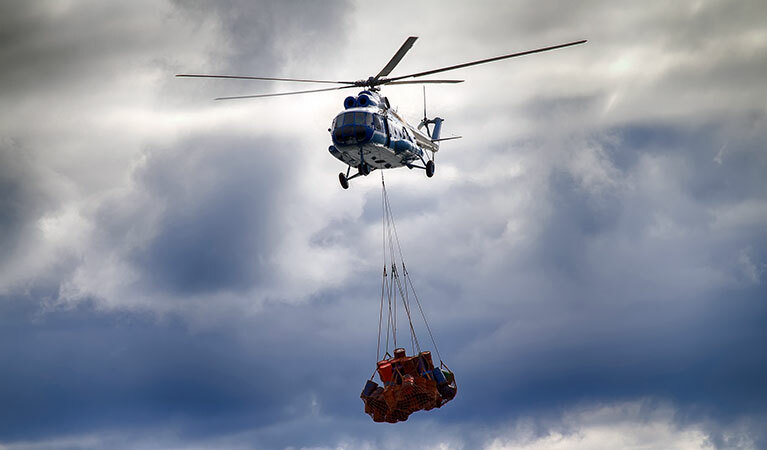 Helicopters are unquestionably valuable in any pipeline project, whether it’s help in construction (and West Virginia has a lot of it) with hauling, delivering supplies or personnel, or performing maintenance or inspections. At FairLifts we work with a network of professional helicopter operators - in West Virginia and nationwide - specializing in this line of work. Our industry experts find clients the right operator for any pipeline job and handle the reservation work. It’s an easy, stress-free way to get clients the aerial pipeline support they need. Come experience all FairLifts can do for your pipeline operation. With five new major pipelines (including the Mountain Valley Pipeline, Atlantic Coast Pipeline and Rover Pipeline, among others) either in construction or at various stages of permitting, there is no shortage of pipeline work in West Virginia. 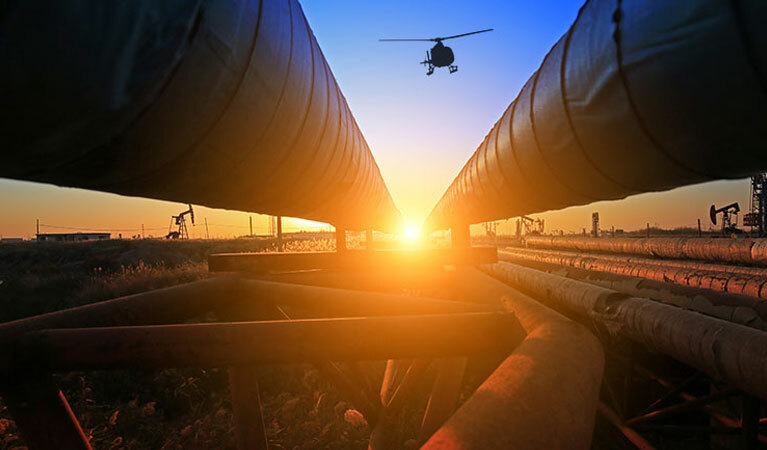 Not only can helicopters greatly assist in pipeline construction projects, they will also be in great demand after completion for mandated inspections as well as routine maintenance and repairs. FairLifts can help. We work with a nationwide network of experienced, professional helicopter operators equipped to assist in any pipeline project. Demand is high, so call today. Aerial support can be key in any pipeline project from keeping construction projects on schedule to maintaining existing pipelines and quickly assisting on repairs and maintenance. Helicopters are quickly and easily able to haul in bundled pipeline sections - especially valuable in remote, difficult-to-access areas - as well as bringing in supplies, personnel or equipment to make jobs go smoother. Helicopter pipeline inspection services are the fastest, most effective way to perform visual (as well as high-tech imaging) inspections to help maintain pipe service and mitigate or avoid costly repairs. Carry personnel as well as a wide variety of state-of-the-art visual imaging equipment over existing pipelines to get the best picture of conditions. Helicopters can quickly perform inspections and collect data needed for inspectors to find defects or other anomalies, anywhere. Pipeline construction and repair projects are often located in hard-to-reach areas, but helicopters always have easy access. Quickly and reliably deliver needed supplies and equipment, or even massive new sections of pipeline, to keep construction or repair projects running smoothly. Avoid costly delays with helicopter assistance. Facing a pipeline leak, not to mention the costs associated with environmental cleanup, is a nightmare scenario. Helicopter assistance offers the fastest way to find and detect leaks quickly and get personnel and equipment to the site to mitigate the situation and make repairs. Helicopter support will maximize crew efficiency and deliver great cost-benefit by getting personnel where they need to be without delays from traffic or heading off road in ATVs or on foot. Plus, helicopters can deliver parts, equipment and supplies as well, minimizing risk of any delays. Building and maintaining pipelines in West Virginia is hard enough as it is. We’ll deliver an aerial advantage by utilizing a nationwide network of experienced helicopter operators to find the precise aerial support for any pipeline need. Use the contact form on the website, or call our customer service experts today for answers to questions or free pricing points or reservations. Helicopter aerial pipeline support helps pipeline jobs get done quicker, avoiding costly delays, and we’ll ensure you get that support quickly and painlessly. We’re available 24/7 so don’t delay. Beckley - Bluefield - Bridgeport - Buckhannon - Charles Town - Charleston - Clarksburg - Fairmont - Hedgesville - Huntington - Hurricane - Martinsburg - Morgantown - Moundsville - Oak Hill - Parkersburg - Princeton - South Charleston - Weirton - Wheeling, and more.